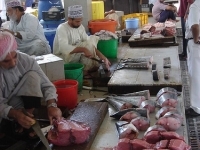 An attraction that offers visitors a wonderful taste of local produce is a trip to the Muttrah fish market. Every day, the market turns out a vast selection of ocean-fresh fish, squid, and crab to choose from. Visit the neighbouring vegetable market for any other fresh produce required to put together a delicious feast.